« 27 & Damn Fine! Introducing Brides's newest foodie-celebrating series, in which we bring beautiful, handcrafted, Instagram-approved signature cocktails to you four times a week! Each month, we'll shine a spotlight on two master mixologists and their one-of-a-kind libations, with recipes and tips on how you can incorporate these signature beverages into your wedding menu, engagement party, bachelor/bachelorette parties, or just an extra-sweet night at home in the kitchen together. 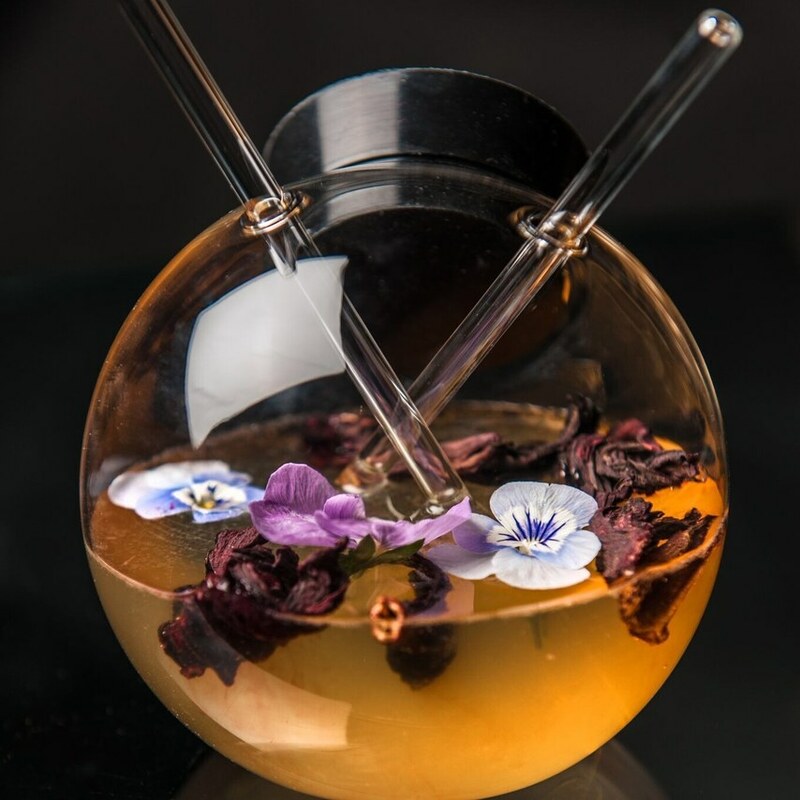 For the second half of August, Bob Peters, head mixologist at the Punch Room at the Ritz-Carlton, Charlotte and social media darling, continues to blow us out of the water with eight boozy beauties to keep you and your guests sipping and swinging all evening long. Stay tuned to hear from more of your favorite bartenders across the country (and beyond! )—because as we all know, the drinks really do make the wedding. This entry was posted in Press and tagged article, Aviel Kanter, bars, bartender, best, Best cocktail bar, Best mixologist, Bob Peters, bob the bartender, bobthebartender, Brides, Charlotte, cocktail, Cocktails, james beard, mixologist, mixology, outstanding bar program, punch room, punch room ritz, the ritz, the ritz charlotte, The Ritz-Carlton.